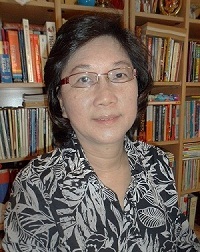 I'm Esther Chum from Singapore and I'm the author of WWW.BASIC-MATH-EXPLAINED.COM. For nearly two decades, I've devoted my life to helping kids understand Mathematics. Most of the kids I've taught usually have no problems understanding how to do basic Math operations like multiplication and division. The problem is that Math questions nowadays are no longer straightforward. This is especially true for the Maths questions in the Primary School Leaving Examination (abbr. PSLE) which all primary school students in Singapore have to take before going on to secondary school. These are some of the hardest primary or elementary Math questions you can find. Kids used to be able to rely on key phrases like 'how many altogether' or 'how many more than' to give them a clue on which operation to use. That is no longer the case. Many of the questions, even in lower primary levels, are on non-routine questions. That is, questions which require you think more deeply to arrive at the correct answer. After Janice gave $32 to her sister, they both had the same amount of money. How much more money did Janice have than her sister at first? At first glance, you'd think the answer would be $32. But if you think about it, if Janice had only $32 more than her sister at first, then when she gave that extra $32 to her sister, her sister would now have $32 more than Janice. But the question states that they have the same amount of money at the end. So you must realise that Janice's money must be much more than $32 more than her sister's to start with. She must have given her sister half of her extra money in order for them to both have the same amount of money in the end. Therefore Janice must have $64 more than her sister at first. This kind of advanced thinking does not come easily to kids, or even to adults. In response to this, many Math teachers have come up with heuristics or methods such as: draw models, work backwards, draw a table, etc. Even with all these methods, the main difficulty remains: when and how to apply the correct method or mix of methods? Many kids try to commit the methods to memory and then apply them willy-nilly. This, of course, is not the best way to learn Math. I will guide you in the best way to teach your child. What I hope to accomplish with WWW.BASIC-MATH-EXPLAINED.COM, is to explain basic Math concepts and principles to you, the parent, so you can help your child build a strong Math foundation. I will show you how to build up, step-by-step, a deep understanding of basic Math concepts. I will show you how to apply these concepts to advanced thinking in tackling those nasty complex Math questions. In the process, Math might even become a fun subject! your child) or tutors (2 - 3 hours a week is hardly enough time to help much) to guide your child. Too many kids are put off by doing worksheet after worksheet. So the emphasis here at WWW.BASIC-MATH-EXPLAINED.COM is hands-on activities. You may have to download, cut and put together learning materials which you then use in games. When your child sees you putting in effort into teaching, he or she will also put in effort into learning.